Our task was to completely reimagine the site experience through improved browsing and better content–and also migrate their website from Drupal 6 to Shopify. 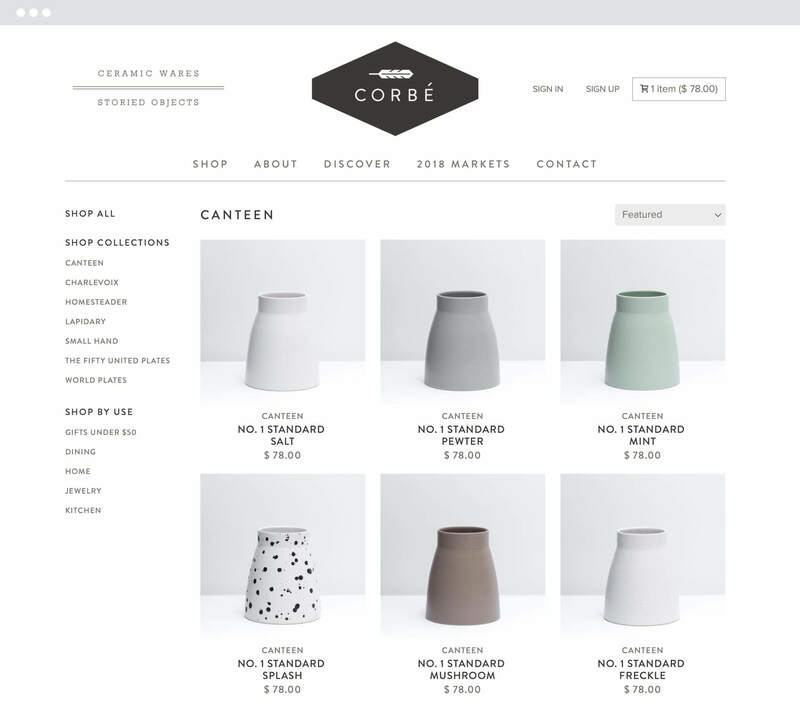 Founded in 2012, Corbé Company is a ceramic wares manufacturer located in Detroit, MI. They sell direct to consumer through specialty retail as well as their website. The founders came to us because they were growing like crazy, but their website wasn’t reflective of their values and didn’t showcase the high quality and technical precision of their products. Customers said the site was slow, hard to navigate, and featured a confusing checkout process. In addition, the website wasn’t responsive. Users on mobile had a desktop experience that was nearly impossible to explore and convert. This was a huge problem because their marketing efforts were almost entirely in social. 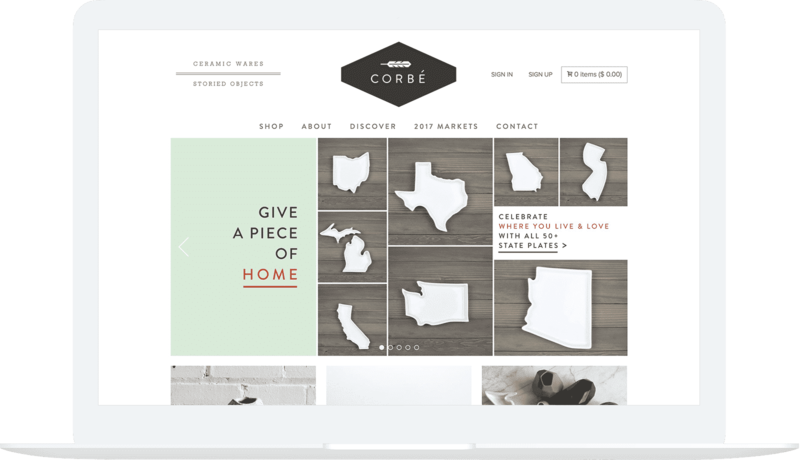 It was clear speaking with Corbé staff they had outgrown the back-end of the website. Site administration was unintuitive, data and reporting tools were antiquated, fulfillment was cumbersome and inefficient. Cart abandonment was through the roof. Insert Gulo. We rethought the brand, refreshed the ecommerce experience using our development tools and customized theme development. 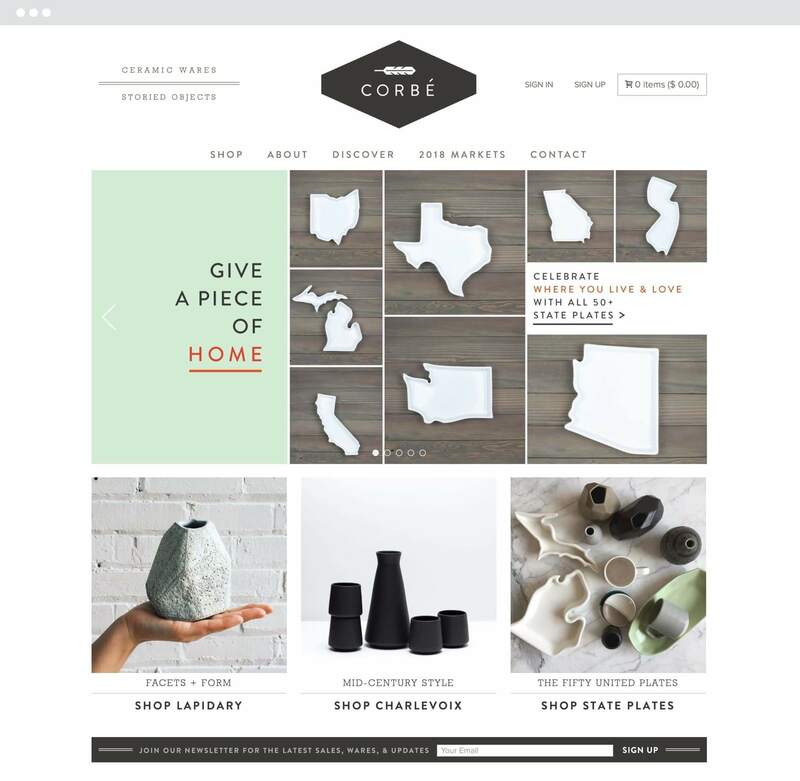 Our front end development team used Shopify theme development to provide a new look and feel for Corbé that resulted in customers page per visit increasing, customer loyalty increasing and most importantly sales increasing.